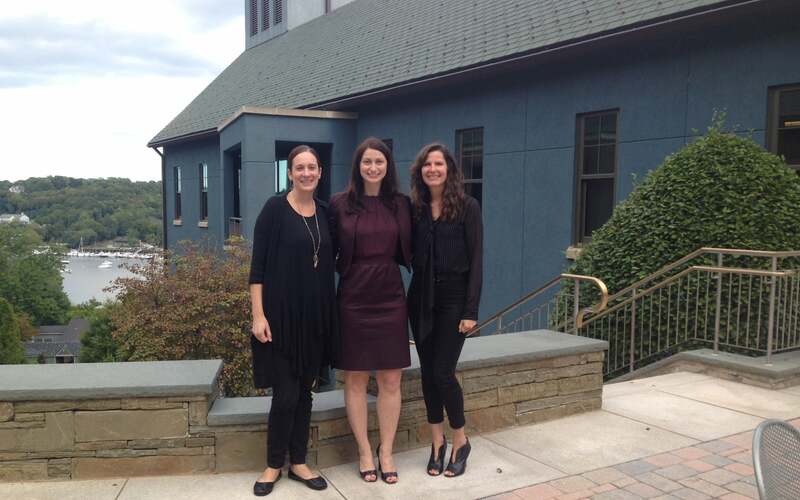 Regina Caliendo and Doris Jelinek from Stand Up for Suzanne with CSHL breast cancer researcher Dr. Sarah Diermeier. Regina Caliendo and Doris Jelinek presented a $10,000 check to Dr. Sarah Diermeier at Cold Spring Harbor Laboratory on Friday, September 16. The group based in Huntington was founded in memory of Suzanne Shea a local resident who died in 2013 after a 6 1/2 year battle with breast cancer. The foundation raises money to support metastatic breast cancer research at Cold Spring Harbor Laboratory through an annual lunch in March and other events throughout the year. For more information about the group and their upcoming events, visit wwww.standupforsuzanne.org.